You started up a fitness routine and you’re on a roll; you’re excited to see your gains in strength, energy, or even losing a few pounds around your waistline. If you’re putting the effort into working out, you want to make sure you maximize your outcomes for the time you are putting into your routine. But what many people don’t realize is when looking to improve your fitness, it needs to start with your nutrition. It was once believed that exercising on an empty stomach would be best for burning more calories and accelerating weight loss. Now research points out that fueling your body properly prior to exercise with carbohydrates and a bit of protein can help you feel energized and perform your best during your workouts. Additionally, it puts you less at risk for injury compared to those working out on a completely empty system. Carbohydrate to protein ratios can be 3:1 or 2:1 as a general guide. This doesn’t mean you need to stock up on a second lunch, just aim for snacks that range from 150-300 calories. Fueling for your workout is just like that of driving your car. You can’t expect your car to take you to work if its fuel tank is empty and the same goes with your body; you can’t expect your body to perform when its “fuel tank” is empty. This is where food choices become a key part in giving your body the energy it needs for your workouts so you can feel your best. You don’t want to give your body just anything. It’s important to fill it with nutrient dense choices (carb+protein) that will not only support your exercise routine, but also your health. 100% Grape juice smoothie– a preliminary study suggests 100% grape juice made with Concord grapes may help enhance exercise performance. Blend it with a frozen banana and Greek yogurt for a satisfying source of protein + carbohydrate before your next workout. 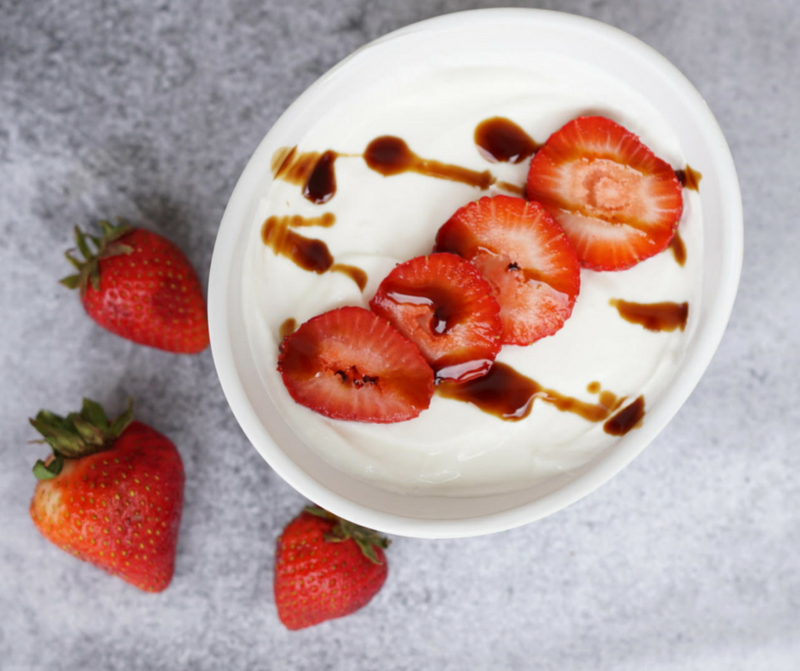 Greek yogurt + strawberries – the Greek yogurt contains protein to help decrease muscle breakdown and strawberries contain simple sugar to give you the energy kick needed to start moving. Bagel Thin + turkey + hummus – this combination of carbohydrate, protein and fat will help to give your body a boost to start building muscle. 8 oz. 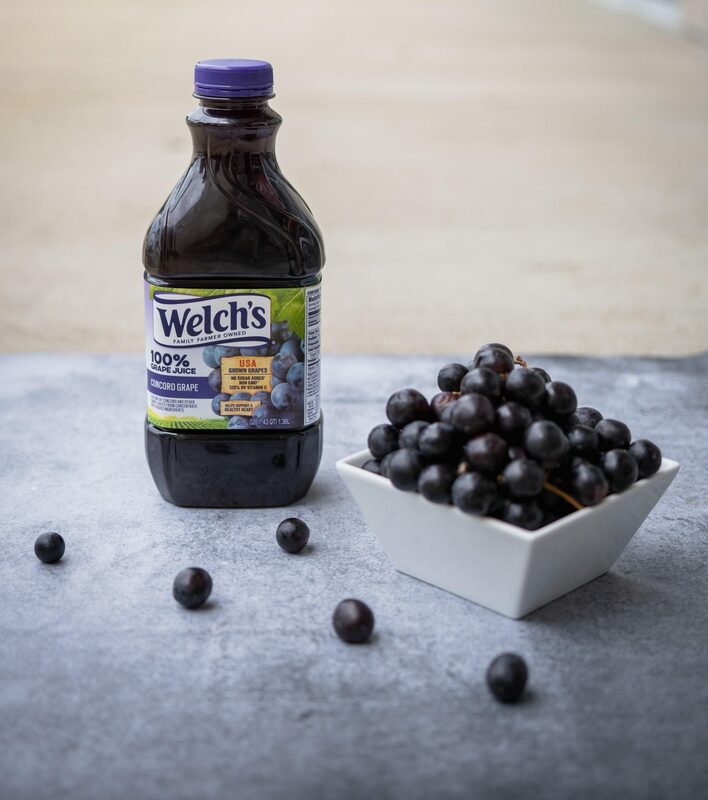 Welch’s 100% grape juice made with Concord grapes + hardboiled egg – an easy grab n’ go snack, 100% grape juice delivers more polyphenols than most popular fruit juices, without any added sugar Preliminary research suggests the polyphenols from Welch’s 100% grape juice could help increase nitric oxide in the blood. Nitric oxide dilates blood vessels improving blood flow and oxygen delivery to your muscles. With the extra oxygen delivered to your muscles faster, your aerobic exercise could be sustained longer. DIY trail mix – two parts dried fruits to one-part nuts – help you sustain those long aerobic bouts with a substantial amount of fuel. 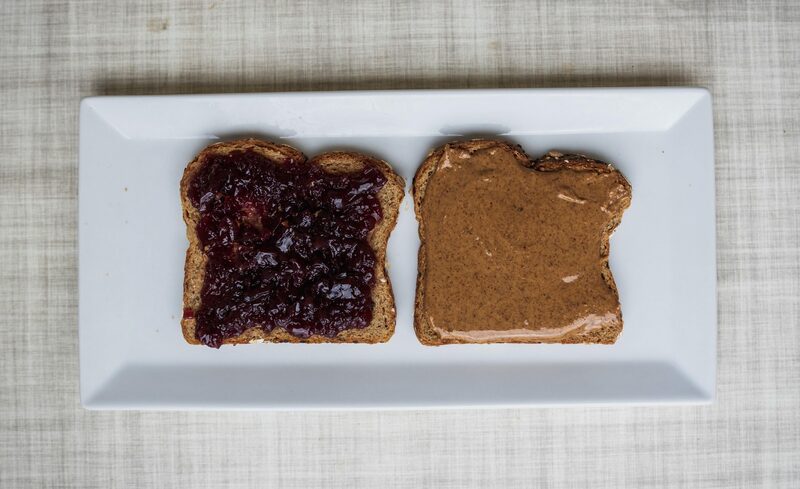 ½ or whole almond butter + jelly sandwich – the whole grains provide complex carbohydrates to help fuel your body during your workout and essential fats help keep you fuller, longer. 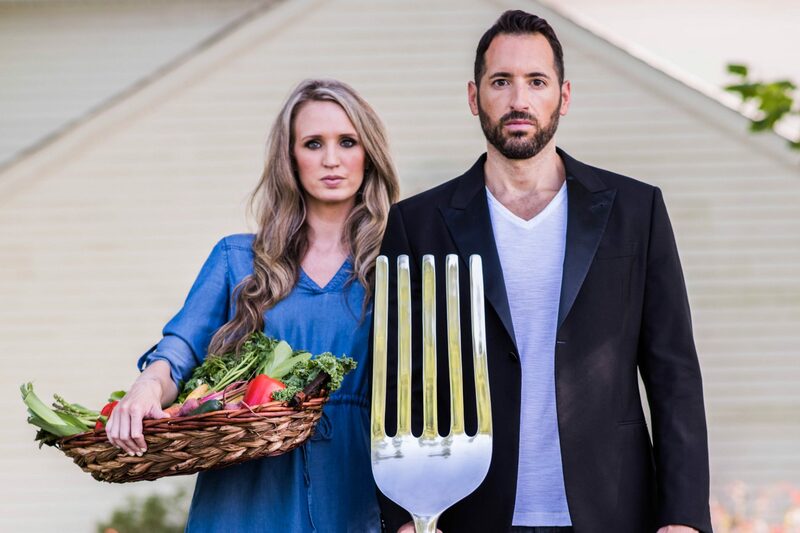 Each person digests food at different rates based on their metabolism. It might take a few tries to see what foods settle best before a workout and how far or close you need to eat it before exercising. In general, choosing lower fiber and lower fat food choices the closer to your workout is helpful in preventing any stomach or digestive upset. Fiber and fat slow down the time it takes for your stomach to empty. Timing for when to fuel your workout is customizable, and can be any time between two hours to 30 minutes before your workout. 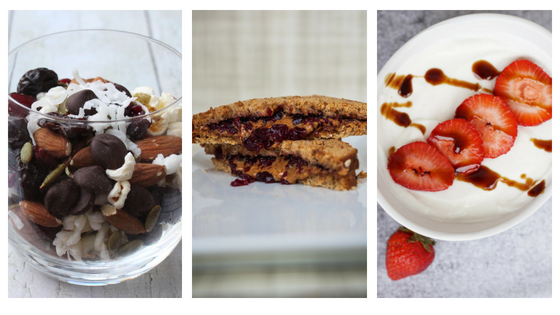 Consider the type of workout you are planning for when determining your pre-workout snack. For example, a snack 30-minutes before lifting weights might work well, but if you’re attending a HIIT class or running, you might want to move that same snack 1 or 1.5 hours prior to exercising to avoid any stomach discomfort from all the jumping around. There’s nothing worse than an upset stomach while you’re trying to get your sweat on! The time of day may also determine your fueling choices. If you exercise first thing in the morning and are heading straight to the gym, you may only have time for a smaller snack with mostly carbohydrates before exercising. The intensity and duration of the exercise can also be helpful to guide your pre-workout snacks. Vigorous activities like swimming, sprinting, or a spin class might require a little more fuel than a light leisurely bike ride. Gauge how you feel during your workouts to see if you need to increase your pre-workout snack calories to avoid feeling lightheaded or weak. And as always, be sure you are hydrating before, during, and after your workout with water to avoid dehydration! I have partnered with Welch’s to help promote 100% grape juice. I have been compensated for my time commitment. However, my opinions are entirely my own.